As requested, here is a follow-up post to give you a little more information about C.J. Drake. Maybe we can all make an effort this year to honor him with flowers when we honor our other family members buried at this cemetery. I think that would make grandma happy. Is anyone familiar enough with Mark and/or Edith's signatures to know whether or not the signatures on the above 3 school census records were really their signatures? 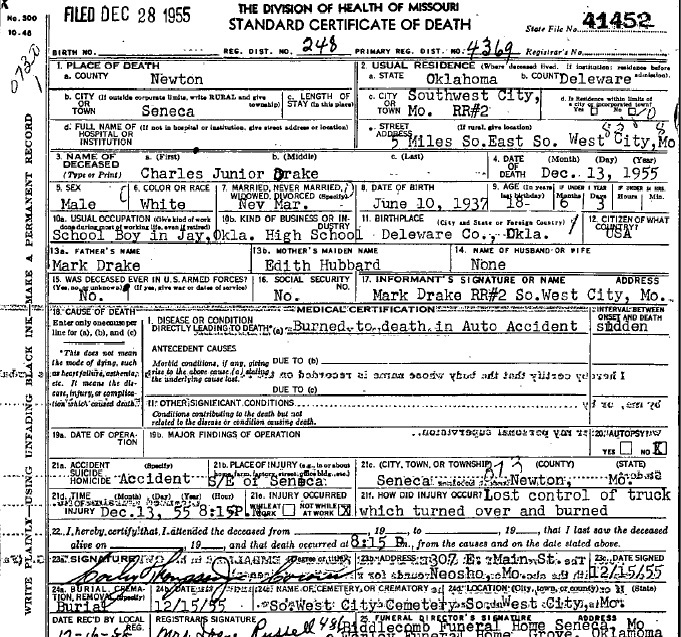 These documents don't give a lot of insight into C.J. 's life but they are all I have about him at this time. He didn't have lot of time to live his life and make records. He was still in high school when he died. He did not serve in the military nor have I found any record that he registered for the draft although I'm sure he did since it was the law. He never married or had children. I find it comforting that he was on his way to a revival and was driving a truck full of family and friends there when he died. I have to believe this was also a solace to Edith. One of the things that got me through a lot of difficult days and nights was the fact that I knew my son was serving God when he died. I knew that my separation from him was not for an eternity but only for a little while. If you know of stories about C. J. or Mark and Edith or have a picture to post, please post them. 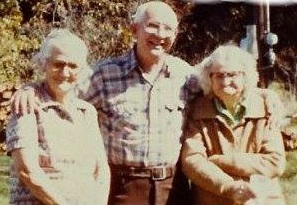 Edith and 2 of her siblings- Bedford and Rosa- in 1982.